Meets for rehearsal every Wednesday night from 7:30-8:30 in Room 205. We are not a professional choir, but a good one. 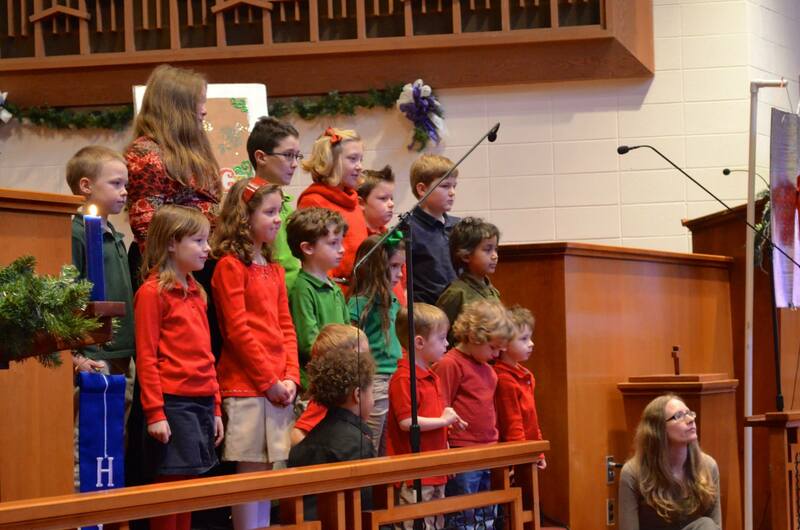 If you enjoy singing and are fairly proficient at reading music, we invite you to join us. Rehearses on Wednesday night at 6:30 pm, directly following the meal. Performs about once a month during Worship service and most special services. For the young, or young at heart. No experience or musical expertise required, just a love of fun and ability to match the color of your bell to the color of the cue card. Who are we kidding? You don’t even have to be able to do that. You just come on forward and grab your favorite colored bell and shake away. 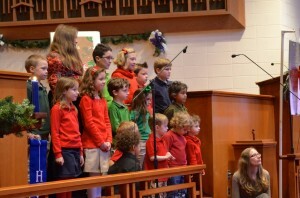 Each year the wonderfully talented children and youth of Blakemore come together to perform a holiday themed musical play for the congregation. Fancy yourself an actor? Desire to release your inner thespian and serve God by presenting the Word in a fresh, fun way? Occasionally we like to mix things up a bit in worship with dramatic readings or dramatizations of the scripture for the week. Last year we had an impromptu Christmas musical on Christmas Eve. We also like to include dramatic elements in our Holy Week services. You have an opportunity to use your comedic acting chops during Vacation Bible School (keep an eye out for sign ups in the Spring).